Hotel Candi Beach Cottage is located in the east Bali, Candi Dasa where is known as the calm resort place in Bali. It is on the beach cottage surrounded by nature and faces to Amuk Bay. Guest room has 2 types, 2-storied building hotel and cottage, and both are Balinese style. 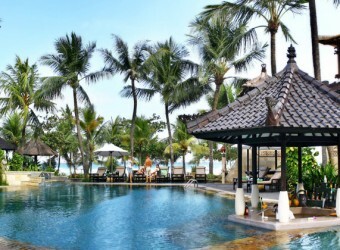 They provide comfortable time with Balinese atmosphere.